"I had flying squirrels what a nightmare. At the same time my dog had major health issue and the vet wanted to put him down, I was a complete mess and for me who owned my own business's this was not the norm. They did everything they said they would do and beyond. They listen to me about my dog gave me encouragement, spent more time with me then needed. Happy to say the squirrels are gone, and my dog is doing better they did a awesome job and I would recommended them to anyone they care." "As always, their service has been fantastic! We absolutely love the fact that they are green. We have peace of mind that we're not being harmed by harsh chemicals, and that kids are also safe. Once they're done with their visit, the house smells amazing because of the oils that are sprayed throughout. Their methods have been very effective at removing a few field mice that entered our home. They checked through every crevice outside to cover up any holes and inside added oils that made it very uncomfortable for the little guys and they peacefully went away. The idea of using glue traps or the other snappy ones really made us very uncomfortable. We also had a wasp situation that was a little tricky to address and they patiently worked with us to remedy it. We've had peace of mind when using their service and highly recommend it to anyone looking for an effective and green exterminator. Thanks so much for being there for us." "Excellent service. Highly recommended. Fair pricing and very prompt and courteous." very old house. We were very pleased with the work that Green Man did." " Great. Arrived on time. 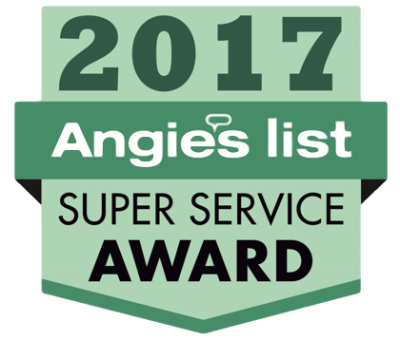 Did a complete service inside and outside of my home John goes over and above what he is supposed to do Will use no other exterminator." "Great results! Bats are gone." "I received a quick response and within a week the only ants I found were dead." "Technician was prompt, congenial, professional, competent. Outstanding!" "John and his team were fantastic to work with! They were very knowledgeable on the issue and how to resolve it (pesky squirrels nesting inside our cabin walls). I was impressed with how great the patches looked, but more importantly, we've been squirrel free ever since. I would highly recommend them to anyone struggling with unwanted roommates in the area!" ​"John was the best he made me feel so safe in my own home I was very sacred of the Possums living in my attic he reassured me that I was again safe he was at my house every day. On the first day he caught the first Possum within two days he had the other one out I was very pleased with the service him and Cathy gave taking into the fact that I called them 37 times in one day the service was very professional and very understanding to my fears and anxiety. When running a business it's nice to treat people with respect and they did and I would Recommend them to everyone I know in the PA area. They get 10 stars in my book!! Great Job Green Man keep up the great work!!" "Responded quick was great service, got the pest control for all the little critters outside so they don't come inside. The owner was very professional and also went above and beyond. Will recommend to anyone."